Google Currents Takes On Flipboard! 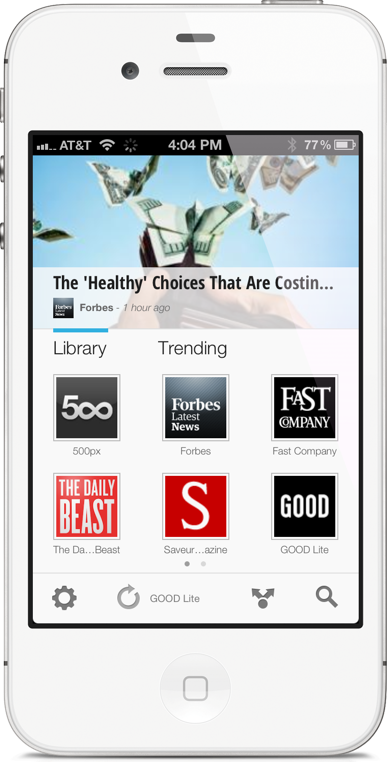 Google Currents app was unleashed on iOS and Android recently. The app is similar to Flipboard in that the user can browse content in a magazine like format, is touch optimized and explored with just a swipe of a finger. Flipboard is iOS specific and was launched on iPhones too recently, but Currents is available on both iOS and Android platforms. Here is an excerpt on Currents from Google’s blog post. Watch the Currents demo in the video below.